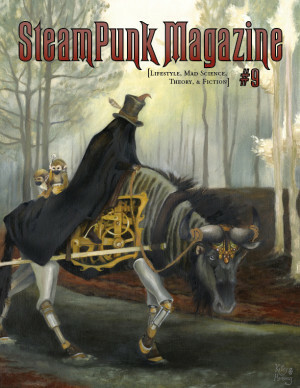 Steampunk Magazine » Dreampunk! Call for Submissions! Our friends at Vagrants Among Ruins are looking for submissions to a new zine, Dreampunk! Dreampunk is the search to build a better world in the ruins of the old. To build a world of equality, liberty and community that reaches for wonder, invention, and a more balanced relationship with ourselves, one another, and with the wild world around us. Deadline is June 1st. Check out the link for more information.